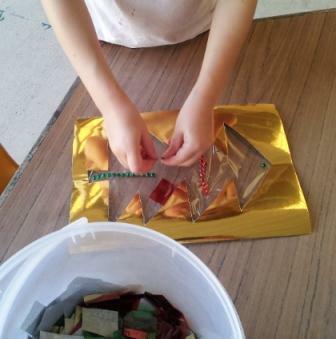 Red, green, silver and gold cellophane and rice paper, glitter. Scissors. 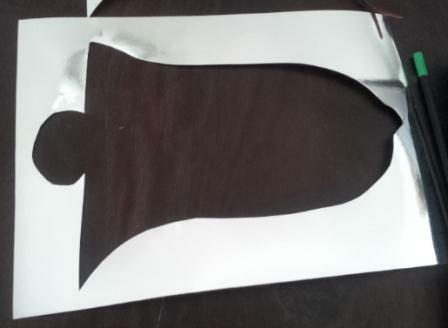 A4 Cardboard “frame” with large Christmas shapes cut out. 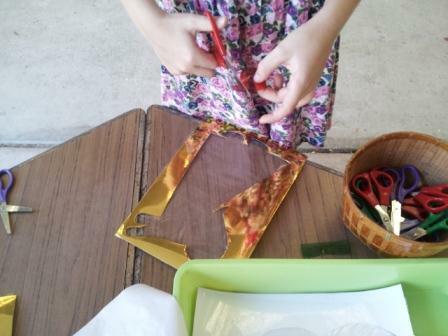 Let children freely create, sticking the cellophane, paper and glitter on to the adhesive sheet. 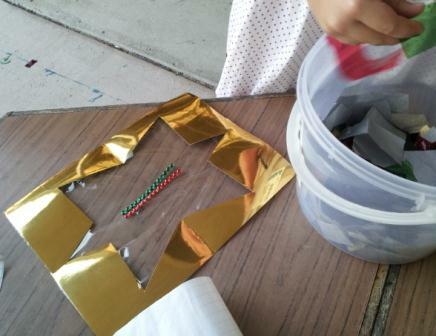 Discuss the different effects and the symbolic Christmas shapes in the cardboard. Encourage children to hold their creation up to the light throughout the process to see the different effects. Different coloured cellophane on top of each other can create colour mixing effects. Tissue and rice paper create frosted effects. 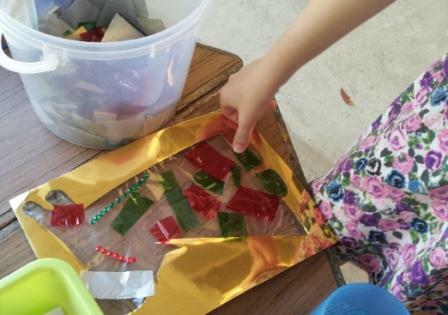 Depending on a child’s age and developmental stage children can cut out shapes, glue on plastic sheets and then collage materials, increasing the difficulty. The contact prepared version is great for younger children.